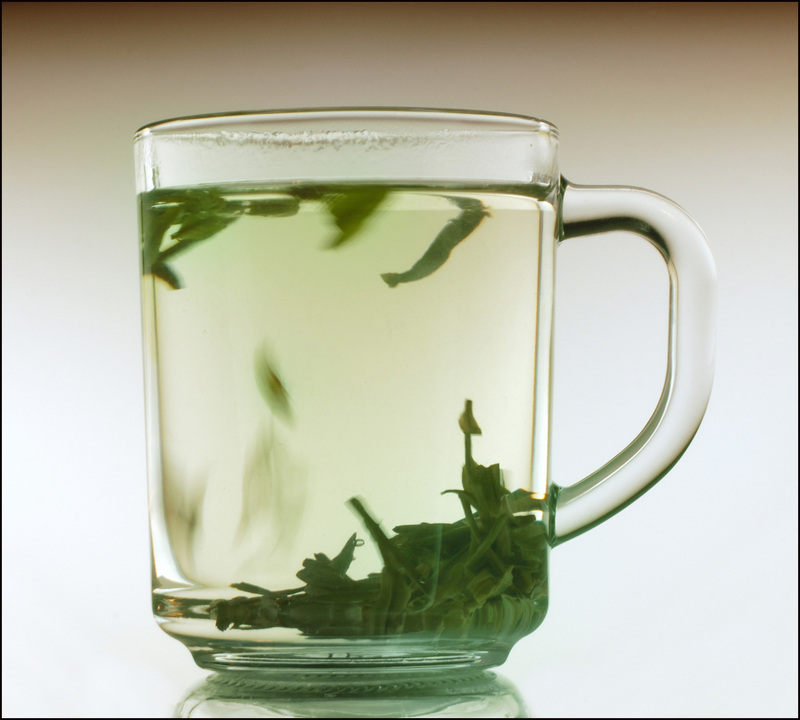 Here is a simple and traditional way to prepare the Green tea. This method is the most widely used thorough China. 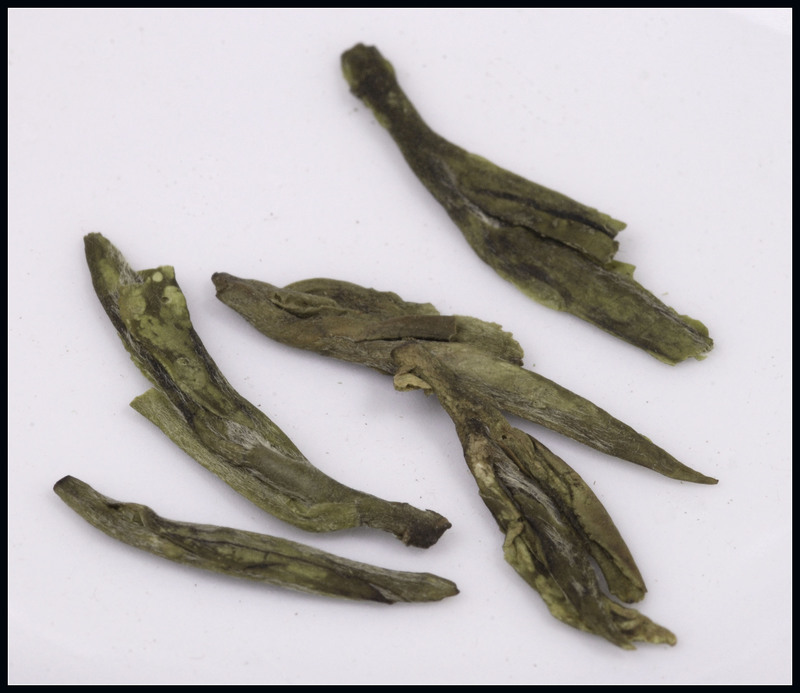 The Long Jing leaves are either single or double. It has no petiole. The leaves are delicate and have a distinct smell. 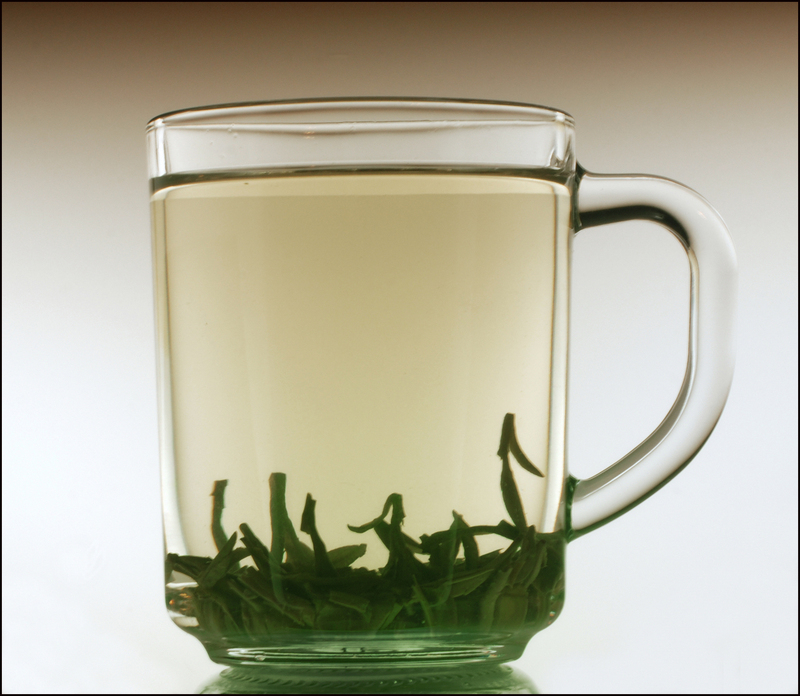 The Long Jing tea is one of my favorite teas. It has very defined aroma and taste. 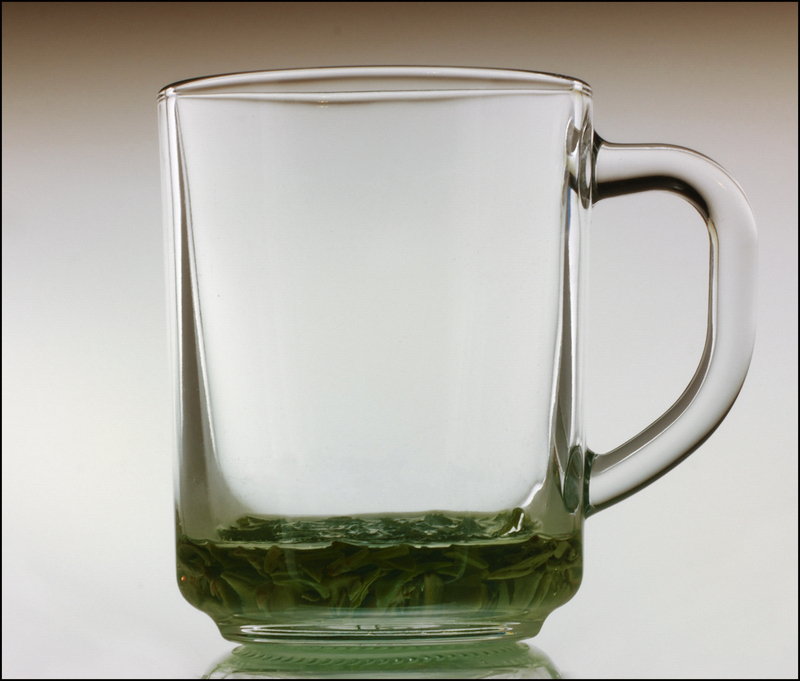 A transparent glass cup or glass jar is used to display the nice color and characteristics of the brew. 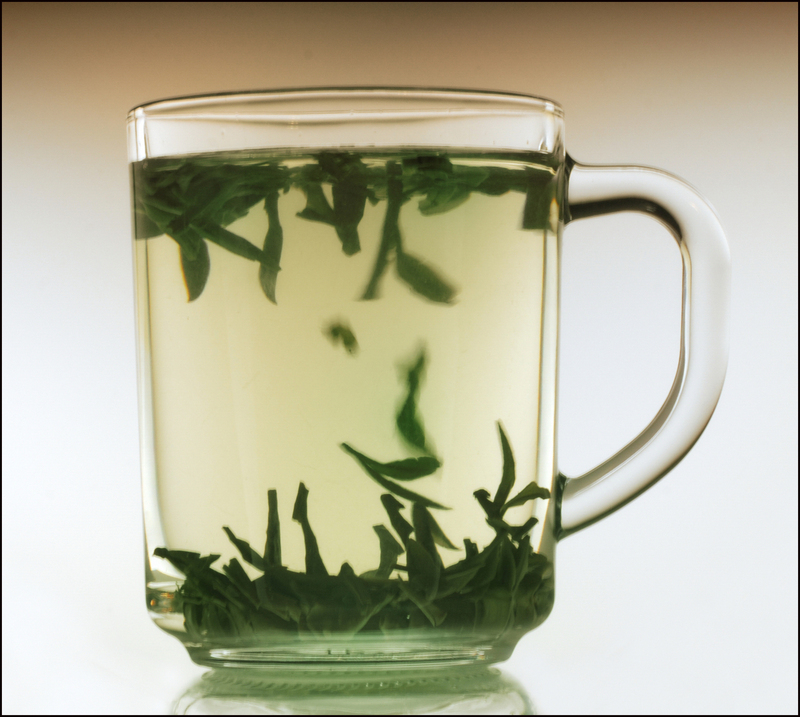 A teaspoon of Long Jing tea is added to the cup, and hot water is added just enough to cover the leaves. Let stand for 3 to 5 minutes to soak the leaves. Here the leaves are being soaked with water at 160F for 5 minutes. Only a small amount of water is used on the cup to soak the leaves. Full addition of water in the beginning will make the tea bitter and make the leaves to float. After soaking the leaves add water at 160 to 180 F to fill the cup. After the full addition of water the leaves will start to move, going first to the top, then to the bottom. If the leaves stay mostly on the top is because the soaking was not enough or the tea leaves are too dry, requiring longer soaking time. Most of the time few leaves are on the top when we start to drink the tea. Just blow the leaves gently to the other side of the cup and start sipping the tea. Now tea leaves are on the bottom. Tea is ready to be savoured. Enjoy! Drink the tea slowly leaving one third of the tea on the cup. Do not drink to the bottom! Now it’s time for the first refill. Add hot water to the cup, wait a bit until the leaves settle again to the bottom and enjoy the first tea refill. Here is the first refill. The tea is still very enjoyable and can be refilled again. Now drink the tea leaving one third of the volume and refilling with hot water. Usually the tea can be refilled up to 8 times during the day, from morning to the afternoon. The tea becomes lighter, but still enjoyable during the refills. 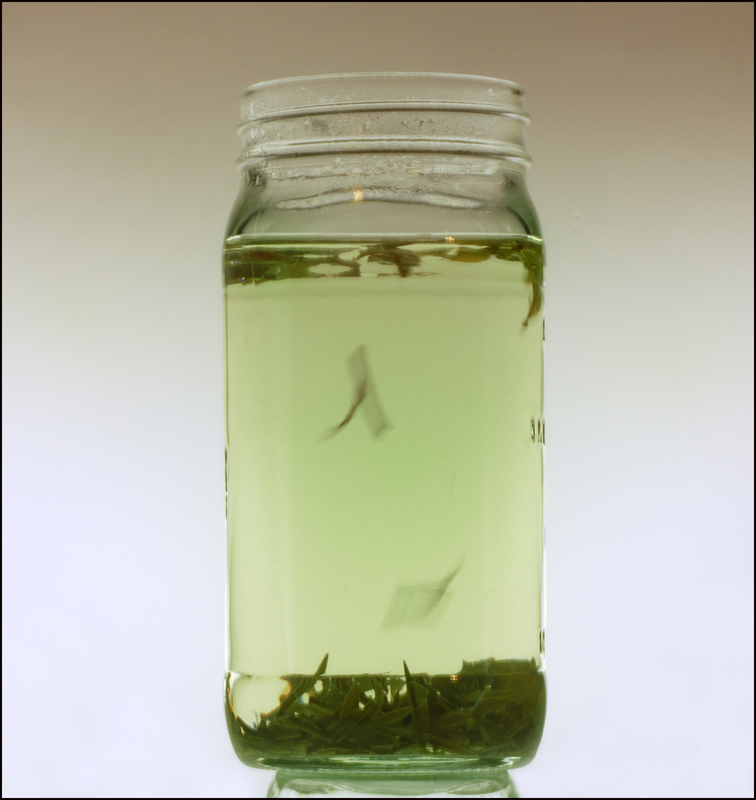 Instead of using a glass cup, a transparent jar can also be used. Several jars can be used: from fruit preserves, instant coffee, jelly, etc. The larger volume makes more convenient to drink thorough the day. Most of the time a lid is put on the jar to avoid spill and contamination. It also looks nice. On the Tea Gallery China there are pictures of different cups and glass jars used in China on the daily life. 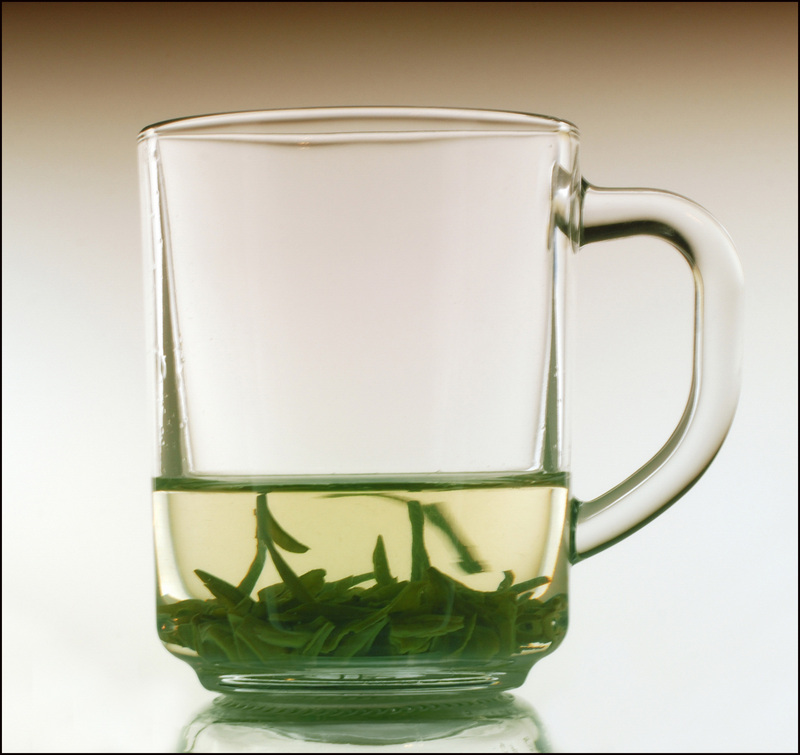 This is just the beginning of the Long Jing experience. It has a defined leaf aroma, slightly sweet and very smooth taste which makes this tea simple unforgettable. This entry was posted in Chinese Green Tea. Bookmark the permalink.